It is budget season again. You know the drill. Increase the top line with tighter control over expenses and a very close eye on cash flow. You need to provide answers and you need to provide them fast. But you've got a complex model, lots of spreadsheets, pressure from above and no time. Move from unconnected workbooks to a centralized database where your data is always consolidated. Changes to assumptions and data are instant. Your numbers are always available for immediate analysis. And no one can "break" the model. The hours you'll save on data collection/entry alone are worth the investment! No formulas or macros to create, maintain or troubleshoot. Just intelligent software based on accounting principles that delivers 100% accurate calculations every time, all the time. Budgeting in an uncertain economy requires a strong understanding of cash positions and cash demands. Budget Maestro is not an Excel front-end so your balance sheet and cash flow statement is not based on estimates or averages of DPO or DSO. 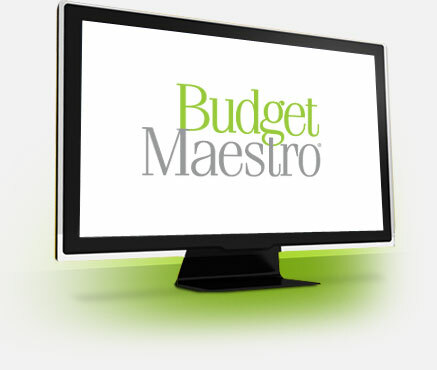 Budget Maestro generates a precise and accurate analysis of your cash position based on your situation. Attend one of the conveniently scheduled webinars from the comfort of your office.